Today, we arrive to Polynesia - and also to the first stop on the journey where I could not find a whole published folktale collection. I read two articles instead. The Journal of the Polynesian Society 66/4 (1957), pp. 365-373. 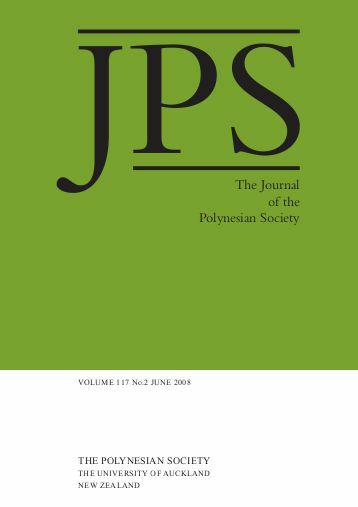 The Journal of the Polynesian Society 67/4 (1958), pp. 394-423. Both articles were written back when Tuvalu was still called the Ellice Islands, and under a British protectorate. Atu Tuvalu, according to one of them literally means "cluster of eight", because even though the group is made up of nine islands, one of them was uninhabited at the time. 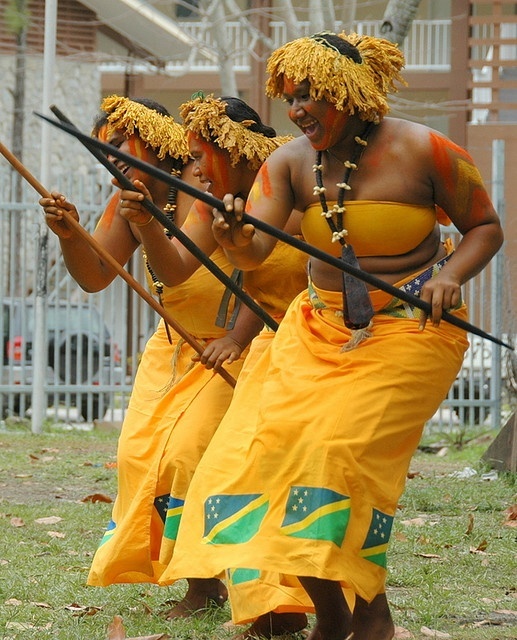 The first article contains four folktales; the second begins with a historical introduction, and then uses indigenous oral history and legends to describe the discovery and population of the islands, the voyages their inhabitants took, the family trees of their chiefs, and their pre-colonial history in general. The texts are full of names and places, and inhabitants of nearby islands, such as Samoa and Tonga, also make a frequent appearance. This could also go under Connections, but I really liked the tale that told about a boy and his special relationship to the Moon. As a baby, he would only sleep if he was put out in the moonlight; as he grew older, he decided that he wanted to live with the Moon. His father and his men boarded a ship with the boy and sailed to the edge of the ocean where the Moon rises, passing all kinds of magical islands. As the Moon rose, the father tossed the boy up - you can still see him in the shapes on the full moon's surface. 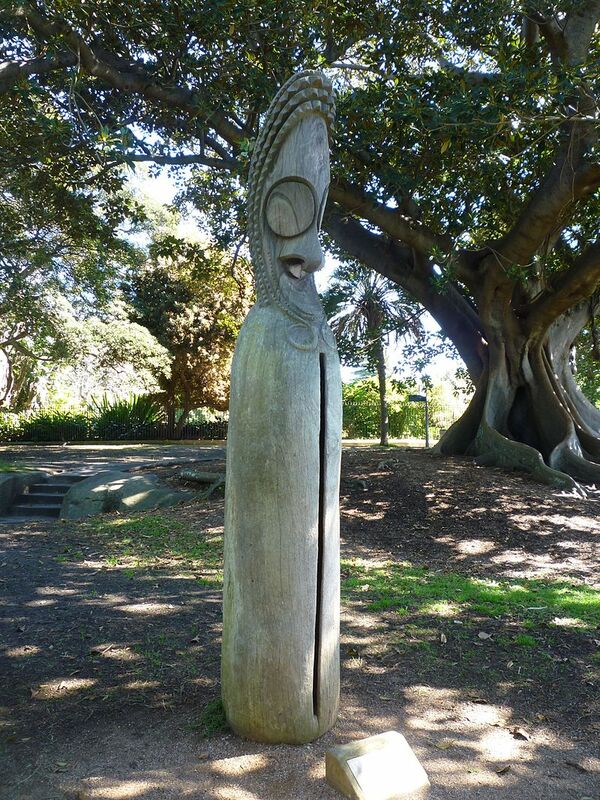 Another enchanting story was that of Sinafakalua and Sinafofolangi története - two girls who were best friends, despite one being the daughter of the Sun and the Sky, and the other the daughter of a man-eating giant. They played together until one day the giant father caught them at it, and ate the girl from the sky. Seeing his daughter's despair, however, he regretted his deed, threw up the other girl, and brought her back to life. Once again I found a folktale where a shape-shifting spirit took the place of a wife, while the true wife gave birth to her children on a distant island, in exile. It was especially amusing that the spirit swallowed rocks to appear to be pregnant... Once again there was a sky-high tree, except here people were fleeing up on it and not down, peeing down as they went to make the tree slippery and impossible for the witch (who was chasing them) to climb. 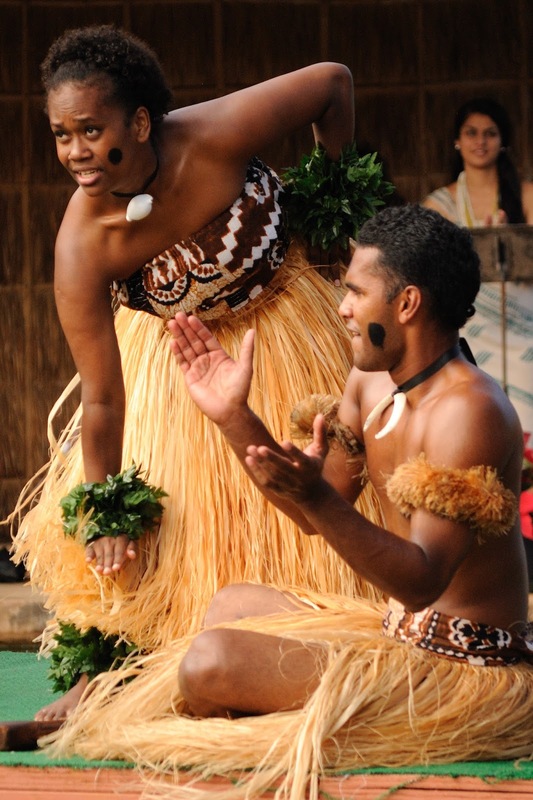 Fiji is our last stop in Melanesia. It was a great way to say goodbye. A.H. & A.W. Reed, 1967. I have to admit that out of all the volumes I have read so far for this challenge, this one was probably my favorite. I am aware that I might be subconsciously biased, since the tales were "re-told" by someone not native to the islands, and therefore probably told in a way that rang familiar to Western readers - but still, as a collection of stories, this one was both enchanting and entertaining, with dozens of stories that I instantly fell in love with. It is not an academic folklore publication by any stretch, and it lacks background information - but it was, none the less, a fascinating read. One of the strangest and most entertaining tales in the book was titled The man who was used as a ball. In it, a man was "accidentally" left behind on an island, where every night the local demons used him as a ball in their game. He tried to hide from them five or six times, sometimes in extremely creative ways, but he kept failing, until a god took pity on him. In the end, he even got to visit the spirit world, leaving his body behind on the beach (and, similar to the Mongolian tale of Tarva the Blind, the crabs ate one of his eyes by the time he returned). One of the most endearing stories was The god that turned into a rat. In this, a deity visited a neighboring island in the form of a rat, but was so exhausted by the voyage that he could not change back - and no one believed that he was in fact a god. In another rather fun tale the god of an island tricked his neighbor into swapping his fruit trees for all the mosquitoes of their home - by saying that mosquitoes were magical, invisible creatures that sang beautiful songs. Not all gods were this funny or lovely, however. There was an entire chapter full of legends about the Shark God. 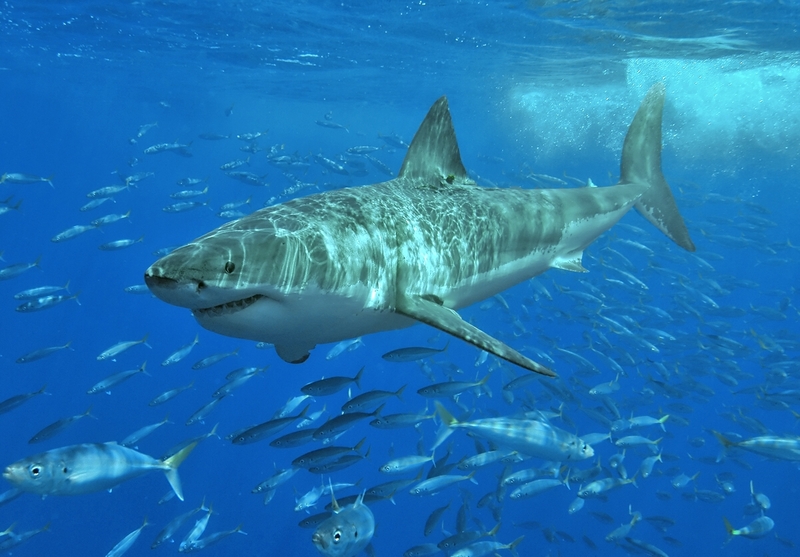 He was portrayed as fearsome and stern, but also a protector of the islands and their people. In one story, one of his unruly sons swam up a river, and people made sure he got back home. A similarly nature-friendly legend was The turtle nuts of the vonu tree. This one told about a custom where people greeted the turtles coming from the sea every year, and then stayed in their houses for two days to allow privacy for the animals on the beach. Of course someone had to break the taboo, and the god of turtles turned him into a tree as a punishment. Turtle privacy is important, people. Let them lay eggs in peace. This volume also contained a very beautiful description of the journey of the soul into the afterlife. Interestingly, this time bachelors were at the highest risk of being punished, and even pure souls had to fight their way through numerous dangerous creatures. 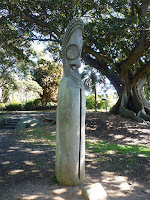 One of the most obvious connections to "Western" tales was the motif of sky-high trees, vines, and stalks; some were used to visit the kingdom of the Sky King, while another was utilized as a vehicle by a hero to travel to the faraway island of Tonga. There were not one, but two "tortoise and the hare" type animal race tales, one featured a heron and crabs, and the other a heron and a butterfly (heron lost both, go figure). There was a legend that reminded me of the myth of King Midas - in this, a chief challenged a snake god's powers, and the god cursed him, turning all food, drinks, and even his bed into living snakes. 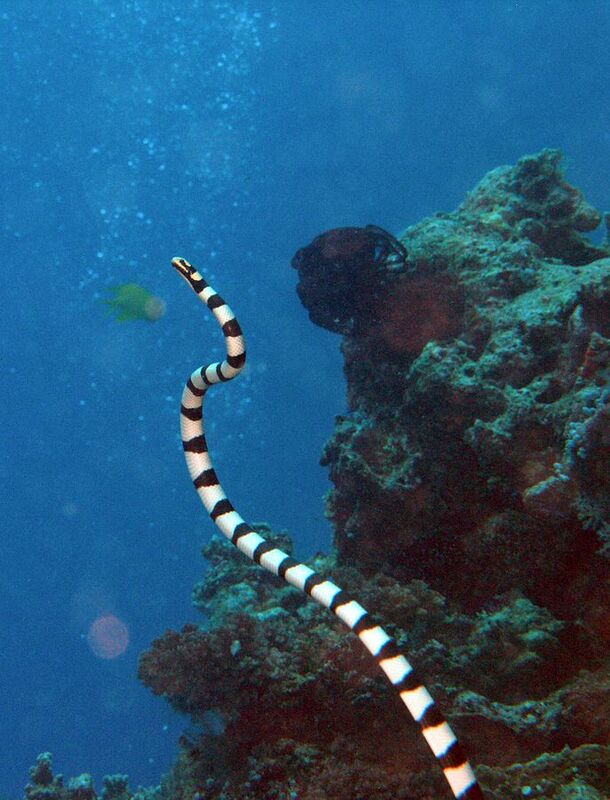 There was also a snake-husband tale (with love breaking the curse), and many other stories that featured snakes. I was reminded of the Whale vs. Octopus story of Micronesia - here, the Shark God Daquwaka fought a giant octopus over who gets to be the protector of the reef (Octopus won again). Several stories mentioned giant clam shells that trapped the hands or feet of unsuspecting people or animals, and drowned them - I have seen similar stories in Vanuatu and Papua New Guinea. I was reminded of Japanese and East African folktales by the story where someone traveled into the Underwater Realm on the back of a giant turtle. Tuvalu. We will be making our entrance into Polynesia. 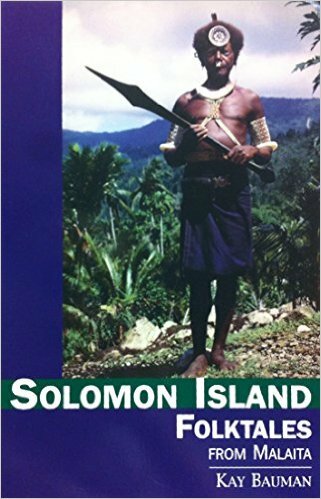 Once again, the story collection I found focuses on the oral tradition of a single island (Nguna) among the many that make up Vanuatu. Still, it was a very detailed sample. This volume seems to have originally been the author's dissertation. It has all the trappings of an academic publication, with detailed chapters on linguistics, translation, culture, etc. While the introductory texts were a little dry, they contain all the information one could possibly wish for. And then some. What I loved about it was that the author transcribed the oral stories in a way that reflected the telling - text was broken up into lines based on the rhythm of the oral performance, worlds were stretched for length ("a long, loooong time ago"), or bold for emphasis, and sometimes we even got notes on the telling style ("[The storyteller makes a sweeping gesture]"). Short of doing an actual video recording, this was an amazing way of giving the reader a sense of the oral tradition in its original form. I loved the legend of How the slit-drum was discovered. According to the story, in the beginning people did not know how to dance, and "theirs was an empty existence." One day a man went to his garden to cut sugarcane, and heard a bird pecking at the stalks. He began to dance to the rhythm of the pecking, and loved it so much he decided to copy the effect by cutting the canes and hitting them with sticks like the bird had done. People soon picked up the new fad, and slit-drums (see on the left) were created from trees. 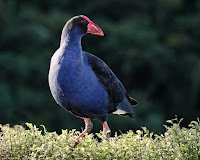 The glossary at the end of the book told me that the bird called tapesu (the first drummer in the world) was probably a Purple Swamphen (see on the right). Pretty. I especially liked that the many tales of inter-clan warfare were interspersed with stories about making peace. 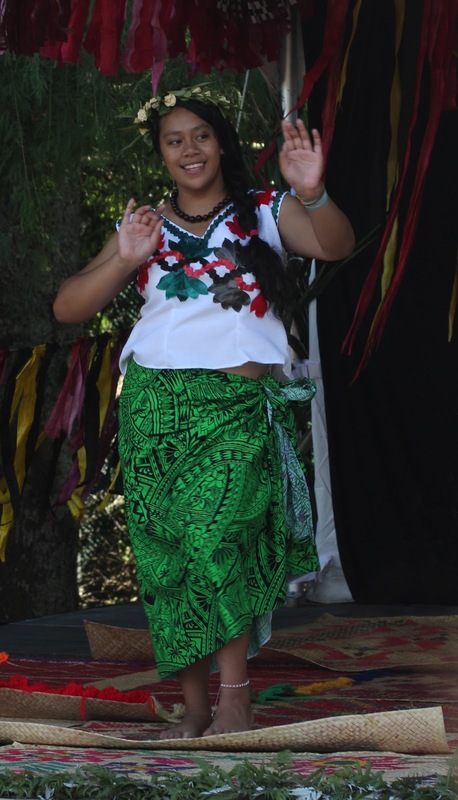 One of them told about two wise chiefs, Mariori and Masiloa, who ended the disputes by organizing a great big feast to all people. At the end of the feast, they divided everyone into new clans based on what they brought to the table: They had a fish clan, an octopus clan, a coconut clan, etc. (I imagine if disputes were settled like this today, I'd permanently be a member of the "I burned the pastries, but I brought soda?" clan). In another tale, fish waged war on each other - or at least prepared to, but the whale showed up in the last moment and managed to pacify everyone. 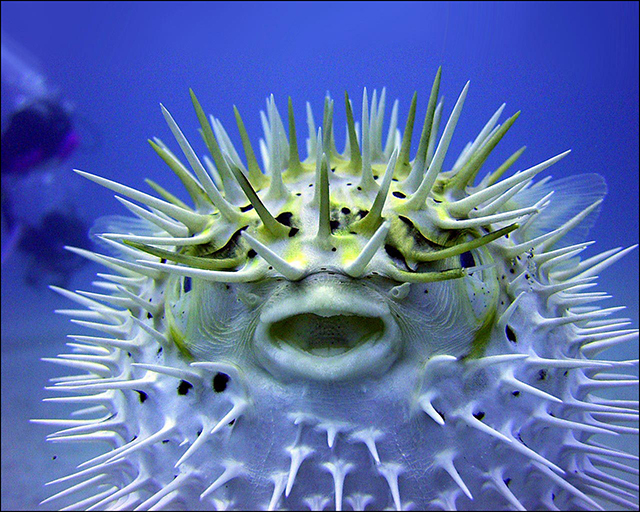 However, since the war was cancelled, they did not know what to do with all the weapons... until the Puffer Fish volunteered to take them all on. 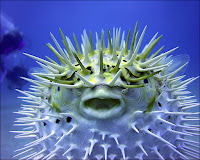 He has been kind of prickly and dangerous ever since. There was a "magical wife" story - here, the beautiful woman was found on the seashore, and taken home by a fisherman (who hid her in the pig pen from his wives). Eventually she returned to her underwater home (like all magical wives do), but she left the power of divination to her husband. Once again, I encountered the trick of covering one's eyes with something shiny, in order to avoid being devoured by a monster in your sleep - in this case, the heroes of the story put pieces of coconut on their eyelids. There was also a beautiful story about the journey of the soul to the next life. It was believed that the soul of the deceased would go to a tree that stretches out above the seashore, wait for the sixth wave to crest, and then jump down into the underwater realms of spirits. 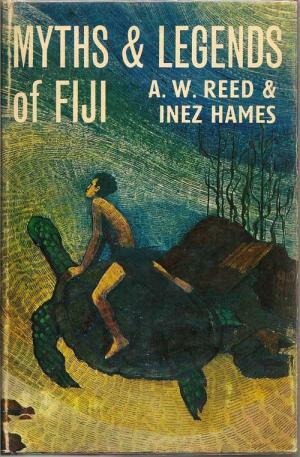 Fiji. 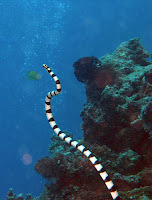 That will be out last stop in Melanesia. 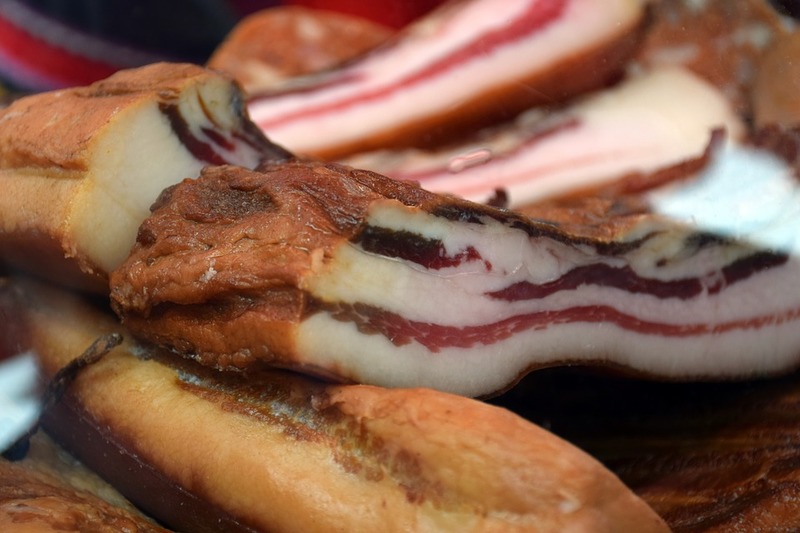 In the Hungarian folktale aptly titled The Bacon Tree, a king has a magic tree that... grows a side of bacon every day. Sadly, the bacon is stolen every night, and anyone who tries to guard it magically falls asleep. The rest of the story is pretty much the same as any other "rescuing maidens from the underworld" tale, but the bacon is definitely worth the mention. In the Akamba folktale The king's daughter lost her hair, a princess loses her hair as punishment for her vanity. Luckily, there is a magic tree at the end of the world that grows all kinds of hair - someone just has to go and find it, and bring some of its seeds back so that the princess can grow her own. Sure, birds live on trees... but every once in a while they also grow on trees. In an Egyptian folktale a man travels to an island with all kinds of wondrous trees; some bear fruit that look like human heads suspended by the hair (coconuts? 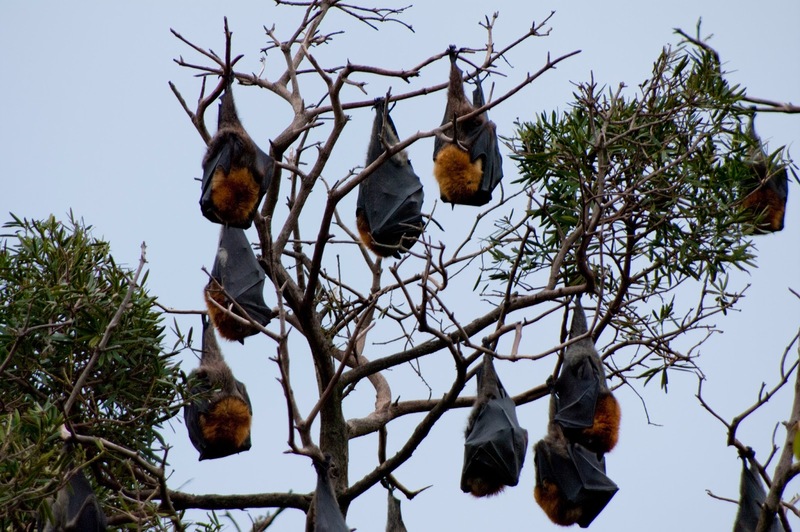 ), and some have fruit that are green birds suspended by their feet (fruit bats?). Some fruits cry or laugh. In a Chaco legend from South America there is a yuchan tree (Chorisia insignis) that is full of fish that people can shoot. Trickster shoots the biggest fish out of greed, and the tree breaks open, flooding the world. 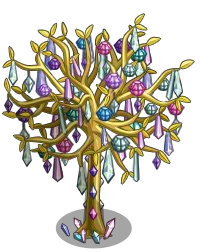 Jewel trees are actually surprisingly common in folklore. In the famous tale of Aladdin, the protagonist finds a garden of jewel-bearing trees in the cave long before he finds the magic lamp. The Epic of Gilgamesh similarly mentions gardens of jewel trees in the Underworld. In a tale from Sri Lanka called The Miser and the Mountain of Gold, a greedy man is brought by a Djinn into a forest of trees that have branches of gold, and fruits of rubies, diamonds, emeralds, and other precious stones. In the Himalayan tale of Ami Dori, a virtuous girl is chased into suicide by her own family's cruel gossip. From her grave grows a tree of beads and necklaces, proving her innocence and providing the first merchant goods in the world. In some versions of the Nepali folktale Dhon Cholecha, a girl is befriended by a two-headed ewe. The girl's evil stepmother slaughters the ewe, but from its buried bones grows a tree of cakes. The poor girl survives by eating the cakes from the tree. By the way, the Thompson motif number for "Extraordinary tree" is F811. Knock yourselves out! 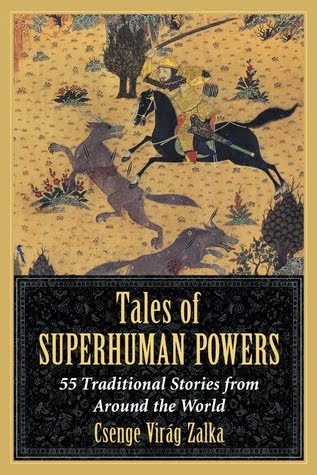 Today I continue new blog series titled Following folktales around the world! If you would like to know what the series is all about, you can find the introduction post here. 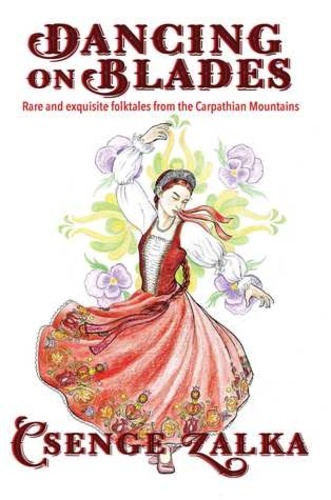 You can find all posts under the Following Folktales label, or you can follow the series on its Facebook page. Kay Bauman moved to Malaita in the 1960s with her two small children and her anthropologist husband; they lived among the natives for a year. Kay learned the local language and began collecting traditional stories (even though she had no formal training in ethnography). Most tales were told to her in a shortened form, since local legends are often chanted for long hours into the night (and some were not told at all, if the elders decided she was not allowed to hear them). The book itself is a pretty well done volume - it has maps, a decent introduction, and includes bios for all the storytellers. I had some minor problems with it, such as the fact that she listed Thompson folktale motifs, but not their numbers... 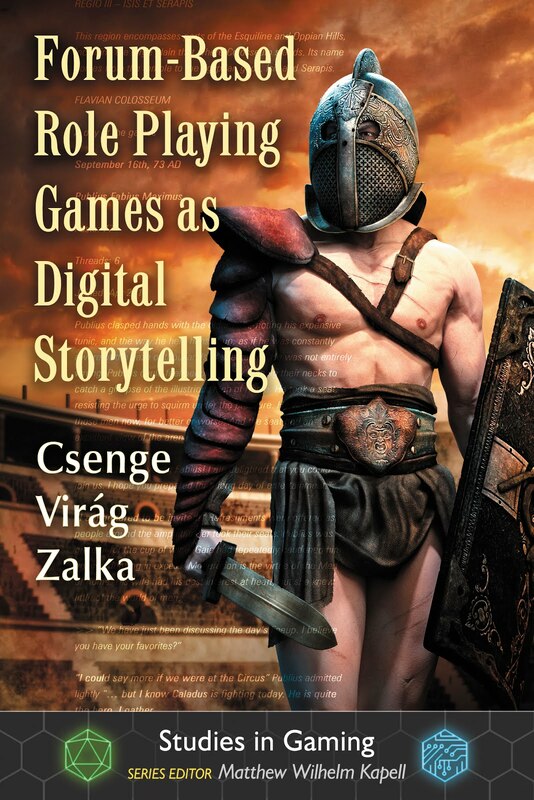 The most annoying feature of the book was that comments always came before the tales - apart from spoilers, they also did not make a lot of sense until one read the actual story, so I kept flipping back and forth. I have to say that women rarely fared well in these folktales. At best, they were seduced with the help of love potions, but abuse and suicide were also fairly common. The great exception was two legends about Warrior Women, a tribe of amazons who lived on a neighboring island, and turned out to be pretty badass in the stories. In one legend, they rescued two wives stolen by evil spirits; in the other, they went to war to avenge the death of one of their relatives. Their leader was called Riina, she was as smart as she was strong, and she has actually been featured on the Rejected Princesses blog. There was also an interesting tale about the origin of bananas and sugarcane. In this, a wife refused to sleep with her husband, and was abused for it; she fled to the world of spirits, and spent time happily dancing with them. Eventually she returned with the gift of bananas and sugarcane; but when her husband abused her again, she sunk into the ground, and returned to live with the spirits. Another beautiful image was the burial of a girl who'd killed herself out of shame. The roots of a life-giving tree grew around her in her grave, and the life-water seeping from them brought her back to life; following fissures in the ground, she came to an underground river, and followed it back to the light. 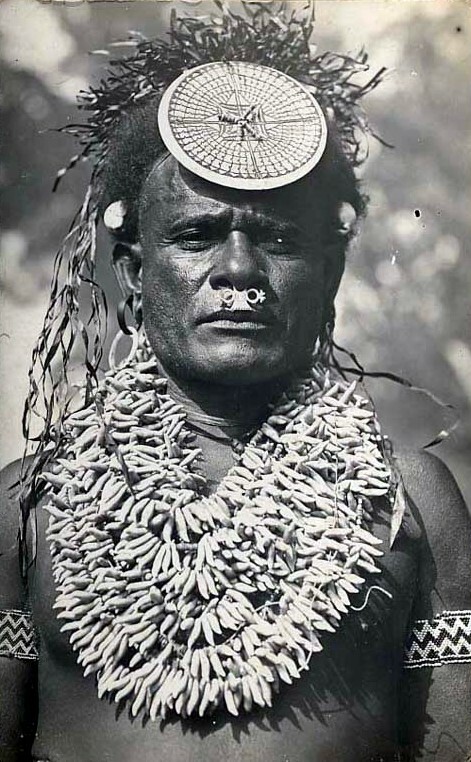 It wasn't in the book, but here I have to note that one of my favorite mythical creatures, the Boongurunguru, is also from the Solomon Islands. 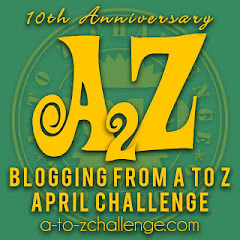 You can read about it here (wonderful blog, check it out). Obviously, I once again found a legend about the origin of coconuts, and once again it involved a man being buried. This time, coconuts, betel nuts, and sago palms all grew from the same body. Another story that reminded me of multiple European myths and legends was that of a giant pig that ran away from the people who raised it, wreaked havoc on the island, and was chased by a large group of warriors, naming places wherever they went.